All the cardio and crunches in the world won't give you the best abs you can get unless you combine them with a healthy eating plan. If a toned stomach is your goal, stick to high-fiber foods, healthy fats, lean protein and complex carbohydrates. These foods help you feel full longer and digest easily. Eat five or six times a day to keep your metabolism humming along, and you'll soon be enjoying a flatter, trimmer belly. Never skip breakfast. 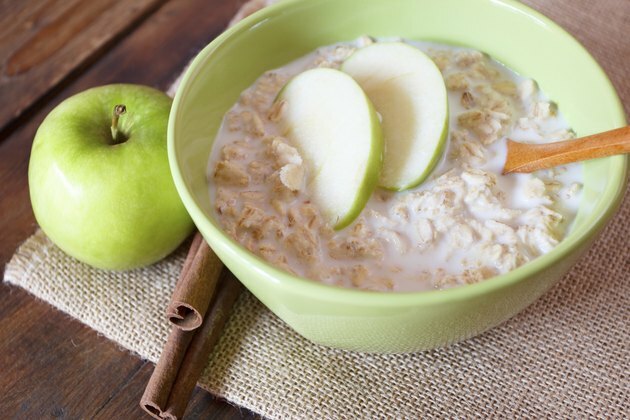 According to a study in the January 2008 issue of "Journal of Epidemiology," skipping breakfast is associated with poor food choices throughout the day and even obesity over time. In addition, eating breakfast kick-starts your metabolism and can help you eat less over the course of the day. 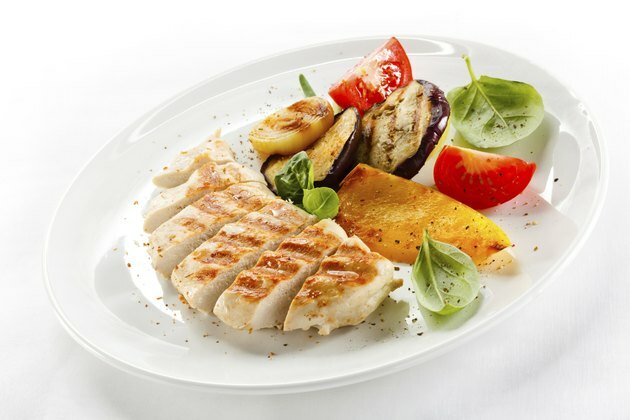 Start the day with a healthy mix of filling carbohydrates and lean protein to keep you full longer. Try an egg-white omelet with chopped veggies and a side of whole-wheat toast or a bowl of high-fiber bran cereal with a side of fresh fruit and yogurt. To avoid bloat, try oatmeal with sliced strawberries. If you want to add meat, go with a slice of bacon, which has only about 80 calories. If you're in a hurry, spread low-fat cream cheese on a whole-wheat bagel and grab an apple or banana. Halfway through the day, recharge healthfully and beat bloating. Try pesto ham and cheese on an English muffin. The protein and whole grains are easily digested and won't make you feel puffy. Pair it with a cup of grapes or a side salad loaded with chopped vegetables. Go with an oil-based dressing, such as low-fat Italian. Avoid fat-free dressings; they may be low in calories, but they're missing the heart-healthy properties of olive oil. If you're craving meat, enjoy 5 ounces of lean grilled chicken, drained chunk tuna on wheat bread or grilled salmon on a bed of greens. The protein will keep your metabolism at full throttle and keep you feeling full according to the May 2008 issue of the "American Journal of Clinical Nutrition." The last meal of the day is crucial. Your metabolism slows slightly in the evening, making it all the more important to eat foods that are relatively light and easy to digest. Saute mushrooms, red peppers and red onions in 1 tablespoon olive oil, then drain and place atop a 4-ounce grilled chicken breast. Add a cup of cooked brown rice and enjoy. 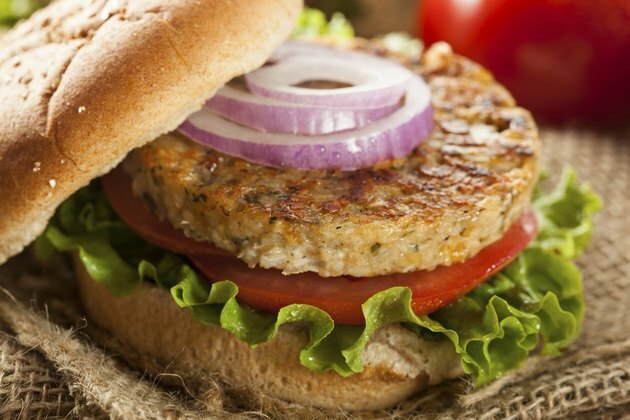 If you're craving a burger, go vegetarian: Top a black bean veggie burger with sliced low-fat cheddar cheese, then add a toasted whole-wheat roll. Add a side salad of spinach, red onions, crumbled feta cheese and a low-fat oil-based dressing. The high water content in the vegetables and the protein in the cheese and meat will fill you up quickly but won't weigh you down. Snacks are a crucial part of getting a toned stomach; in fact, MedlinePlus.com recommends six small meals per day for getting rid of post-pregnancy belly fat. Snacking between meals can help keep your metabolism humming and keep hunger at bay. Try a handful of whole-wheat crackers spread with natural low-fat peanut butter or a slice of unprocessed, low-sodium deli meat wrapped around fat-free mozzarella string cheese for a midmorning energy boost. 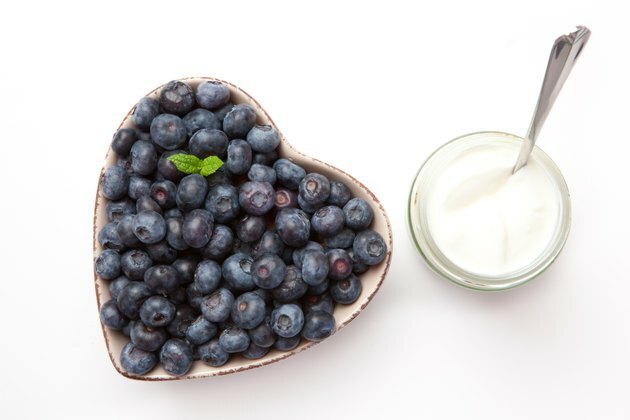 In the afternoon, pair a handful of blueberries with a cup of plain nonfat Greek yogurt or a large peach. Fresh fruit and vegetables are low in calories, virtually free of fat and high in water content, making them the perfect way to stay satisfied while still flattening your belly.